Read about these exciting characters in The 2014 Fabulous Fourteen Accs page! Quote: "Welcome to another exciting edition of DIGGING FOR DECEPTICONS!" 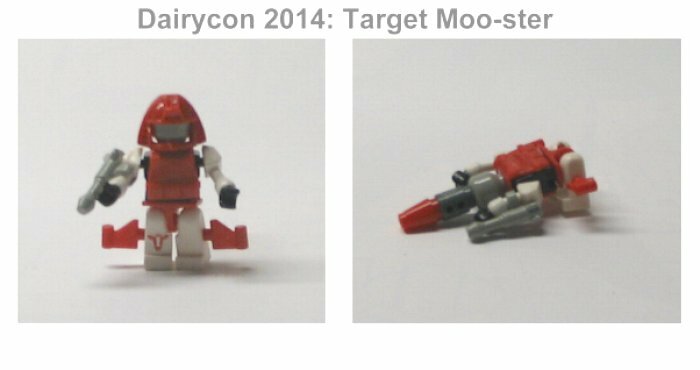 Target Moo-sters are the name given to the generic 'troops' that inhabit a small part of the Dairycon Universe. Originally made in Galvatron's Arts and Crafts class, these guns gained sentience and flooded the universe. Since none of them want to be slaves to the Decepticons, they joined the Autobots enmasse, where they were quickly shuttled down to the Dairycon universe to serve, ironically, as cannon fodder for both sides. Various Target Moo-sters have different levels of ability (see the 11 bios). Typically used to shoot holes in continuity. Always losing parts. Poor flight ability causes them to barrel roll into the ground when trying to pursue their flight capability. Quote: "Back in my day, 'bots transformed into *Nothing!*. And that's the way we liked it!" Dairybot realizes something that the rest of the Target Moo-sters do not: that the Dairycon Universe, while seemingly healthy, is in actuality as fragile as two wet bricks tied together with tissue paper. 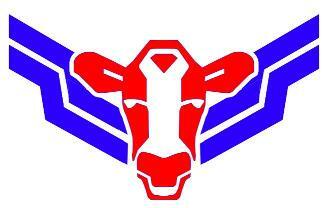 One mistake will cause the entire thing to shatter and fall apart, and the Moo-niverse would be Ruined Forever. Fortunately, there is hope. Dairybot has resolved to remain ever vigilant against something that could Ruin Dairycon Forever, and will call out a warning if he sees anything that could potentially do so. This has resulted in him calling out a warning nearly every day. 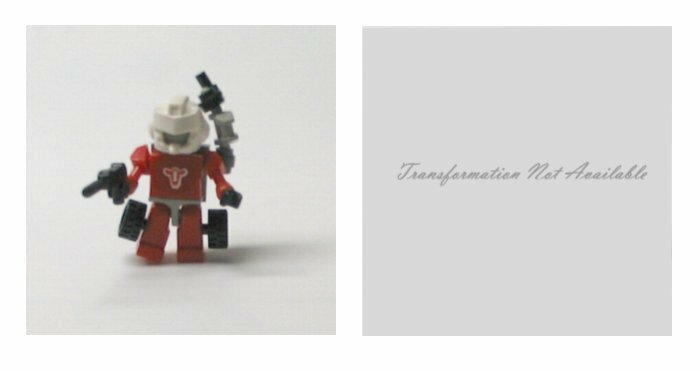 Unlike most Target Moo-sters, Dairybot believes that Transformers should abandon all attempts at re-invention and instead stay in robot mode. In-theory, he transforms into a foot-powered Razor Scooter, though he has never done so. Dairybot carries everything he feels he could need in his backpack; tools, weapons, and spare parts for himself and the other Targetmoo-sters. Is never caught off-guard, because he *always* senses danger. Dairybot refuses to transform into his altmode, thereby keeping him from bonding with (and powering up) the larger Dairycons; this renders him useless in battle. Since his altmode isn't weapon-based, the other Target moo-sters wonder why he's lumped in with them. Constant vigilance has worn his circuits to a nub. It won't be long before he simply snaps. Quote: "I hate the Autobots! I hate Decepticons! And I'm not very fond of YOU, either!" Dairycon used to be a Corrupt Corporate Executive. The chance learning of a valuable lesson at some point in his career taught him about What's Really Important in life. Leaving behind his Corporate Roots, he started his own Fun Company, in which he gives away materialistic baubles while at the same time preaching against the evils of materialism. He still has a LOT to Learn. Strong for someone in his position, but oddly does not use his physical strength in a fight. Typically tries to bribe his opponent in lieu of fighting, a tactic with which he has had great success. "Justice and Revenge aren't shiny;" he says. "They don't get a very good exchange rate." Unusually snappy dresser for someone in his current line of work. Gets rid of things as quickly as he acquires them, avoiding the hoarding mess that CLUTTERBUG generates. Transforms into a capture claw that a larger Dairycon can use to lift extremely heavy objects, or to tear someone in half. Unable to decide if he should continue on the path of light, or if he should just give up and go back to evil. Saw his future - Death by Materialism - and it shakes him to this day. Typically gets paired with an evil Decepticon due to his color scheme. This really grinds his gears.